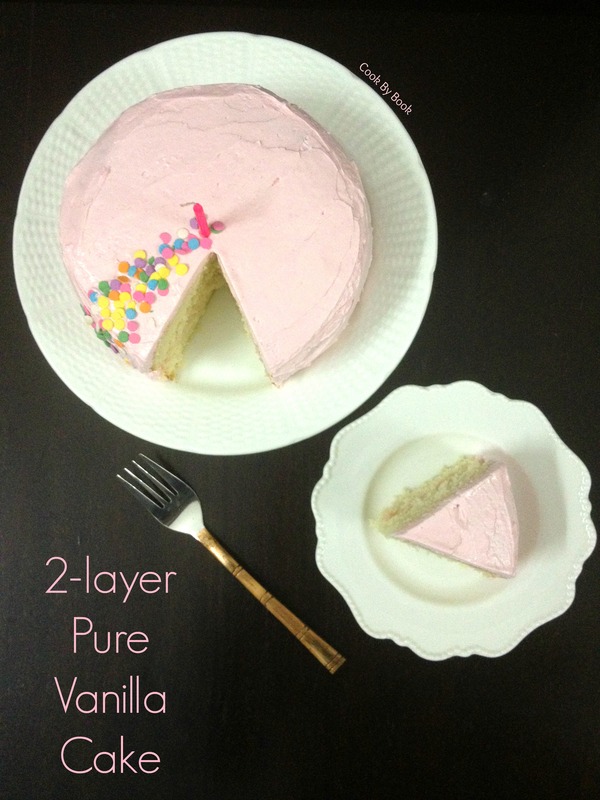 2-layer Pure Vanilla Cake ~ 1st Blogversary!!! My blog officially turns 1 today! Woohoooo!! Last year today I created and set up this blog and published my first blog-post the next day. 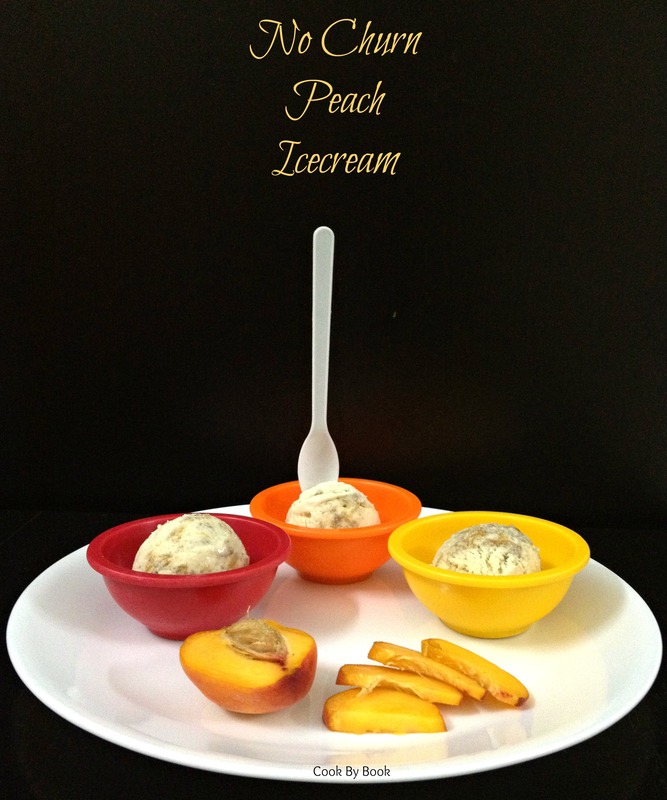 For about 2 months before starting this space, I used to publish my recipes and pictures on my Facebook page but later I realized I wanted to share more than just a picture and a recipe with you all, in a more customized manner. That’s how this blog was born. It feels just like yesterday but time really flies when you blog. Blogging has taught me so much. Food photography and food styling is what I’ve become totally obsessed with! It is such a great way to connect with like-minded people all around the world and learn about their culture through food. I have made some awesome new friends! I owe it all to you gorgeous readers! Thank you for making this past year so fulfilling, from having less than 5 to 500+ followers and many more on social media, I’m very grateful for all the support and love so far. Whether it is just a comment, an email or a follow, I want to thank you for all the amazing gestures that has made blogging so so incredible for me! I’m so so so happy, totally in celebratory mood! Throwing a party kinda mood. When I’m happy, I bake. So I baked a cake for this virtual party. It’s a party essential after all. Also, it is neither healthy nor low-fat. It’s buttery, sugary deliciousness. Pure vanilla goodness completely covered in pink whipped cream frosting. Yes! Today I’m sharing a classic vanilla cake which is sturdy in layer-cakes but moist and tender at the same time. A cake you can always depend upon. Make this your go-to recipe for anytime layer-cake requirements. Birthdays, Anniversaries or Weddings. An all-occasion versatile cake. *If you like your baked goods on a sweeter side, use 1 and 1/2 cups sugar instead. Preheat the oven at 170ºC / 340ºF. Butter and flour two 7-inch (5-inch or 6-inch works too) baking pans and set aside. In a bowl, sift together flour, baking powder and salt. Set aside. 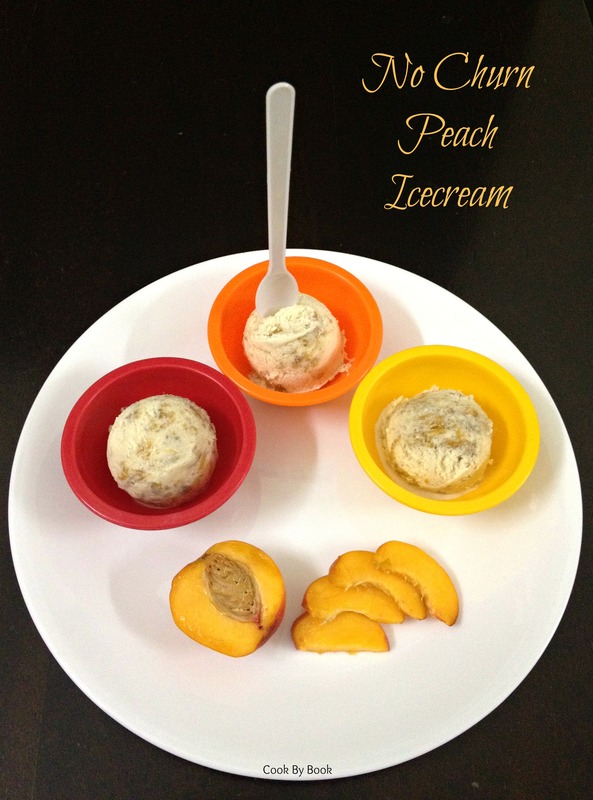 In a bowl of your electric mixer, beat butter and sugar together until pale and creamy, about 3-4 minutes. Add vanilla bean seeds, vanilla extract and egg whites and mix until smooth. Add dry ingredients to the wet ingredients alternating with milk, beginning and ending with dry ingredients. Gently stir all ingredients until well combined. Stop mixer and scrape down sides and bottom of the bowl, making sure to have all ingredients mixed well. Divide batter among baking pans and bake for about 30-35 minutes or until a toothpick inserted in a center comes out clean. Remove and let cool slightly in baking pans for about 5 minutes, then invert on a wire rack and let cool completely. Frost cakes as desired. 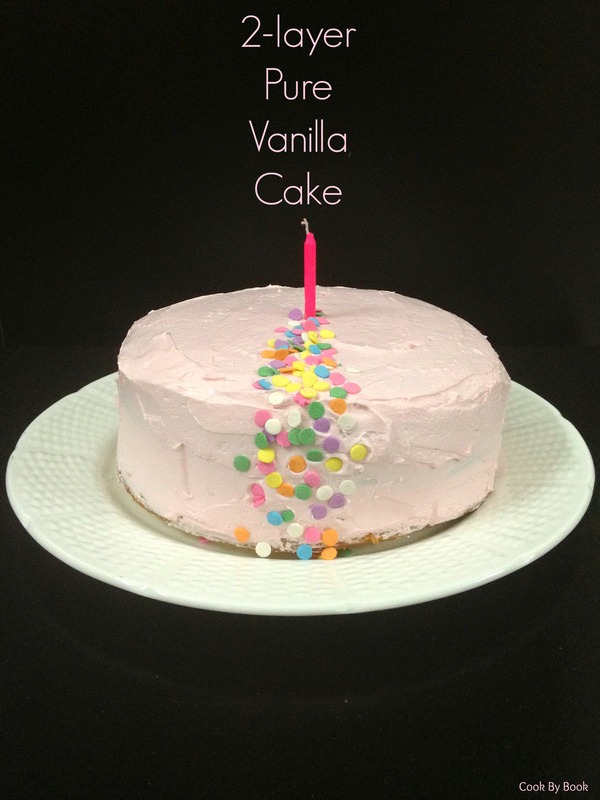 Use this Vanilla Bean Frosting recipe and instructions on how-to-frost-a-layered-cake. I colored the frosting with a drop of rose pink food color. Note: If cakes are baked in 6-inch baking pans, you may cut them so that you have four layers altogether and if cakes are baked in 5-inch baking pans, you may cut them so that you have six layers altogether. 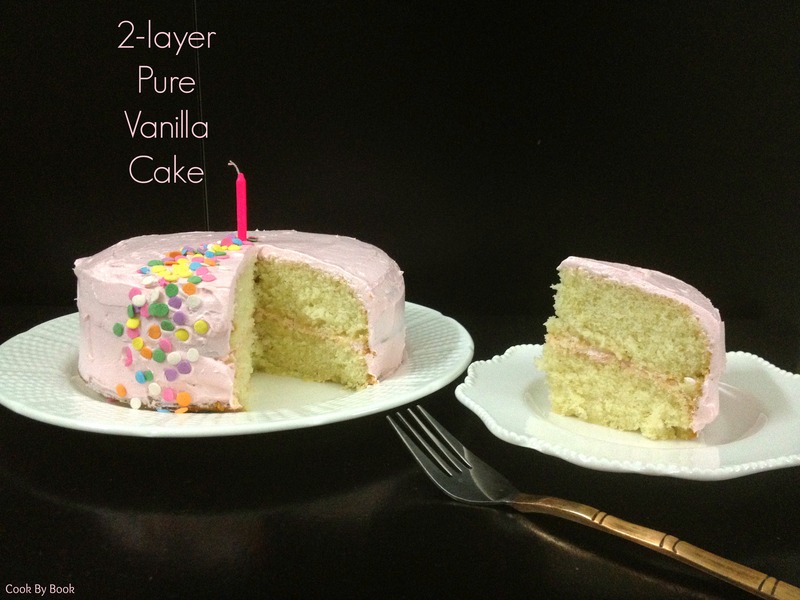 This way you can make 4-layer or 6-layer cake using the same recipe. I have a confession to make! I made this cheesecake more than a month ago and totally forgot to blog about them.. Yesterday when National Cheesecake Day tweet was doing rounds, this is the cheesecake which came to my mind instantly… and this too! Sincere apologies for forgetting such an important thing. Now that this is off my chest let’s move on.. So let’s talk about cheesecake! Cheesecake!! You want it! Really really crave it and then you think of all the extra calories eating one slice or half slice of it entail and then you either eat it anyway and feel guilty or don’t eat it and deprive yourself from this decadence. I say you can not be making such appalling sacrifices. It’s against the law, you see! So being a smart one here always presenting you guys with skinny treats, I have a solution. 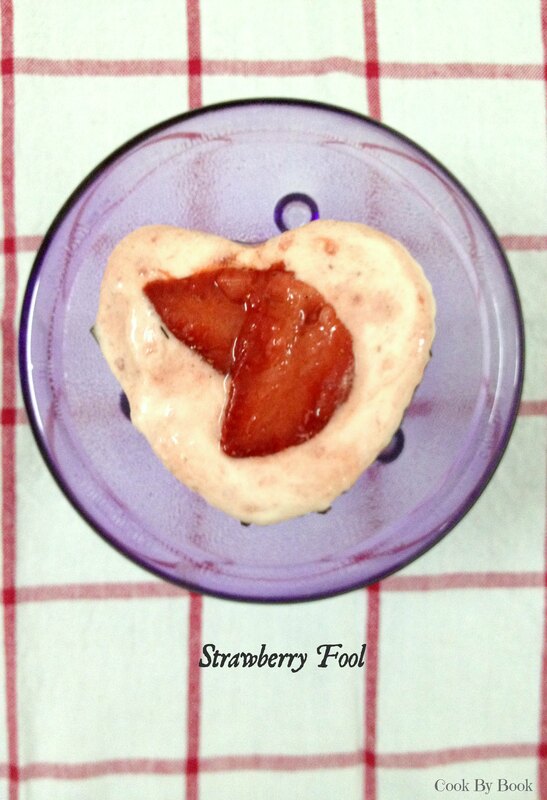 Simple… Make mini-cheesecake!!! 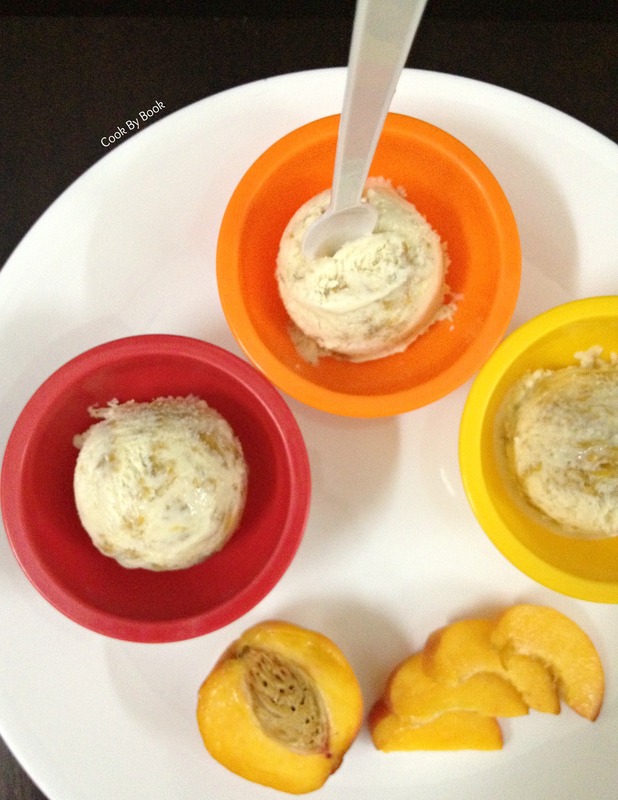 I’m on a mini-dessert frenzy nowadays… I simply adore them. One thing they are too cute and another is the amazing portion-control you get without making yourself or others feeling culpable for the indulgence. 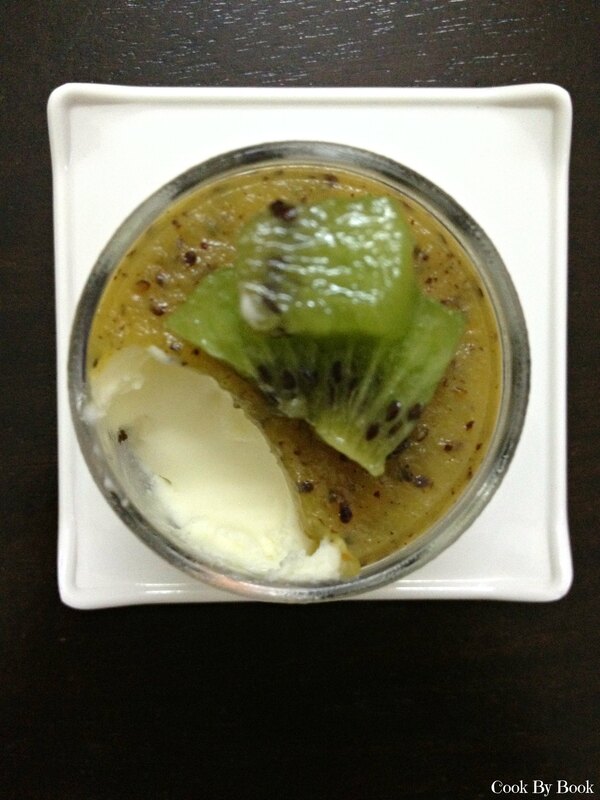 So here I present you today kiwi cheesecake with Oreo crust… I have tried and kept the sugar as less as possible. 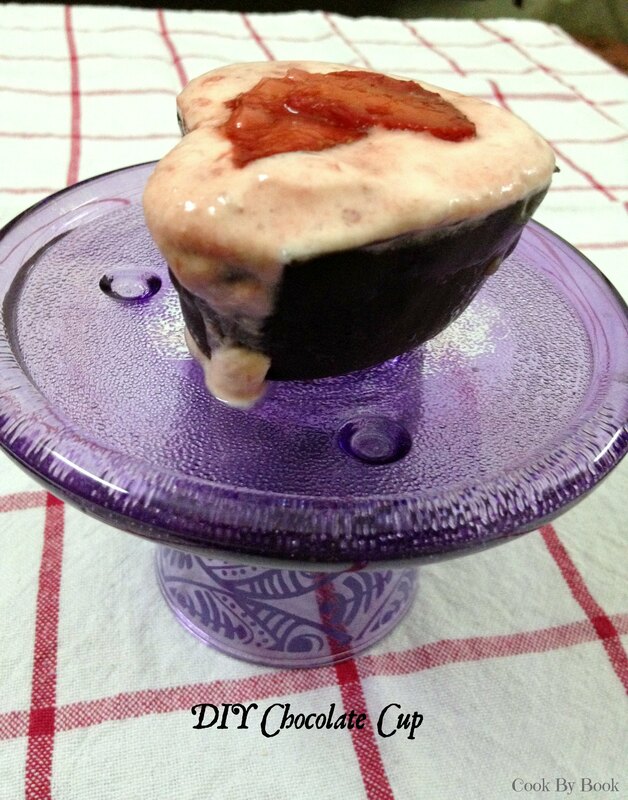 The cream used here is not full-fat whipping cream instead I have used medium fat cream. So I have done my best to bring you a slightly low-cal version. Hubby & I got to eat cheesecake for 3 days in a row. So we were a happy bunch! I hope you enjoy this as much as we did. 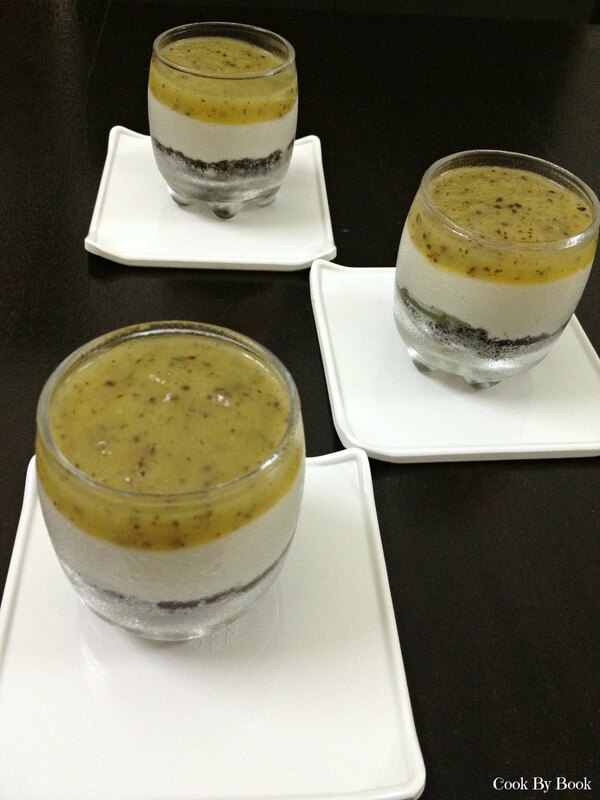 Blend Oreos and melted butter in a food processor till fine crumbs form. Place 1 Tbsp of crumb at the base of the each shot glasses and press down firmly. 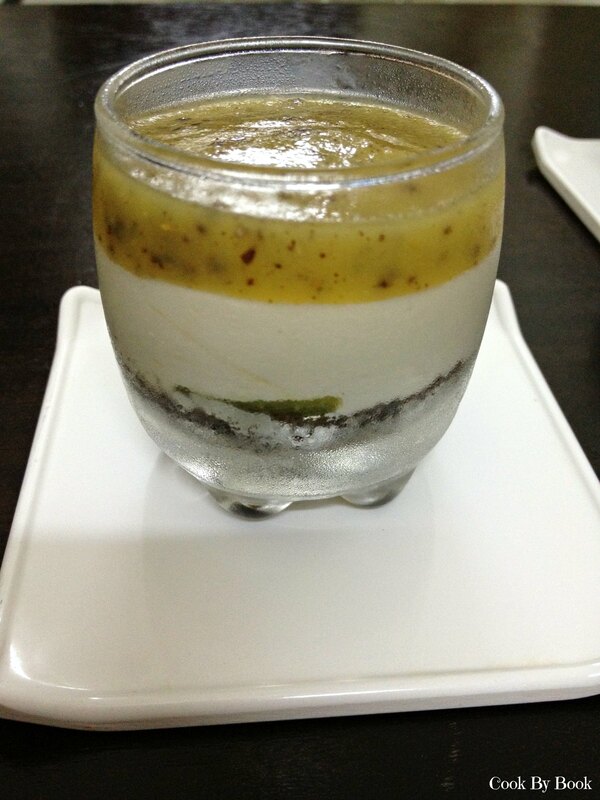 Place glasses in refrigerator till you prepare cheesecake filling. Whip cream cheese, sugar and vanilla extract till soft peaks form. Whip the cream in a separate bowl till the soft peaks form. Fold in together gently. Remove shot glasses from the refrigerator. 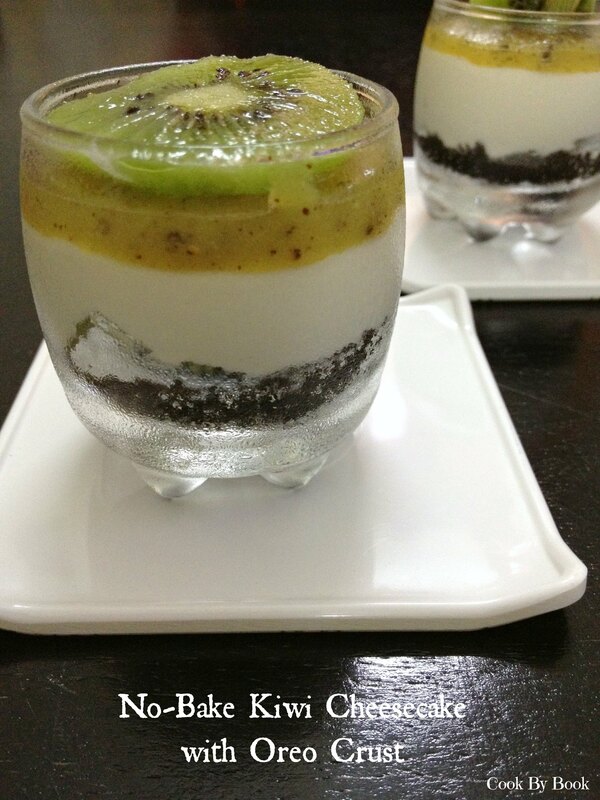 Equally divide cheesecake filling in all the glasses throwing in 2-3 pieces of diced kiwi in between the layers. Refrigerate for at least 2-3 hours. In a microwave safe bowl, heat the water for 30 seconds and add agar agar to it. Mix thoroughly till agar agar dissolves completely. Add sugar and kiwi puree. Whisk till a thick paste forms. Top the shot glasses with approximately 1 Tbsp of jelly mixture and chill again for 2-3 hours or till jelly has set completely. 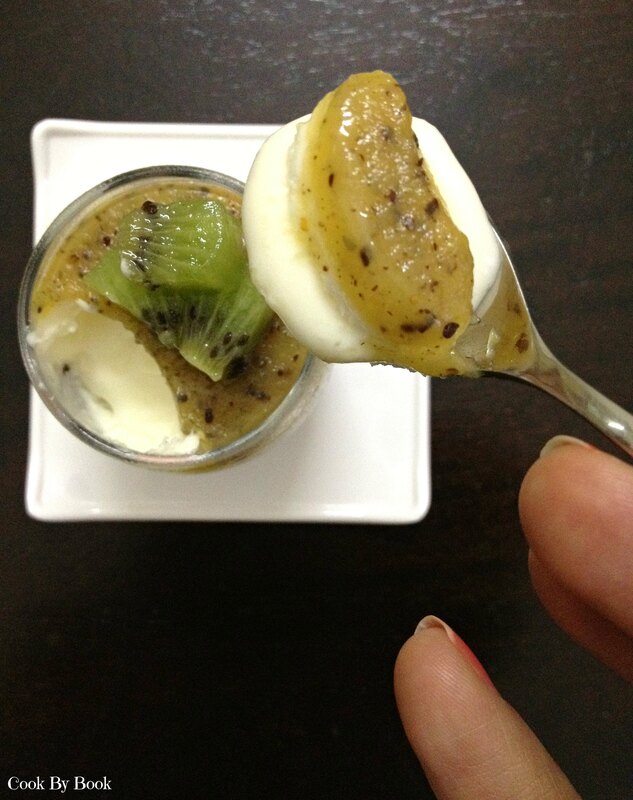 Serve chilled, each glass garnished with sliced or 2-3 diced cubes of fresh kiwi.